It can work if you have nothing better, but it doesn't really provide anything more than other belts do. 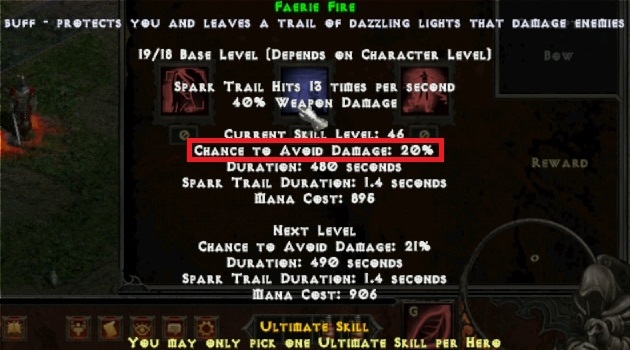 Flat damage will always be a priority compared to elemental damage. 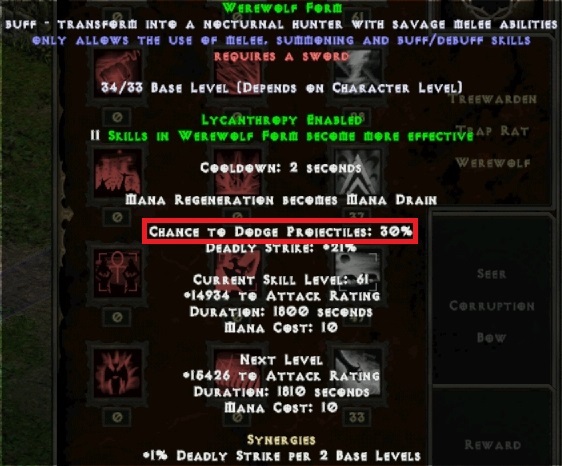 I read the thread by suchbalance where he talks about wereform attack speed breakpoints and used the parameters for werebear he mentioned in second page to decrease my shapeshifter merc attack to 3fpa, but it doesn't look like he is attacking 8 times per second and proccing as much as he is supposed to with several on melee attack procs /10% fortress, 25% miasma, 5% doom(with ignore target defense against normal mobs). Decent guide. May I ask, if I were to use craft/runeword gear, what should I do? hung9a91 wrote: Decent guide. May I ask, if I were to use craft/runeword gear, what should I do? 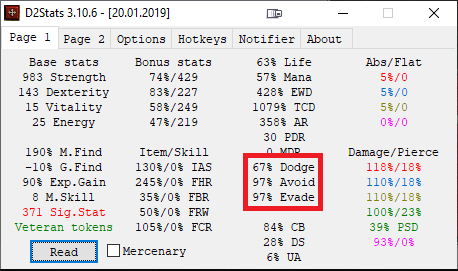 There's already plenty of suggested runewords, as for crafted items, you should roll with Creepy shrines and look for high Strength bonus, high %ED, maximum Damage, Attack speed if possible, and a Proc like spike nova would be icing on the cake. Armor pieces should be rolled with Creepy as well. I didn't really include crafted items in the guide because I hoped for consistency between players. 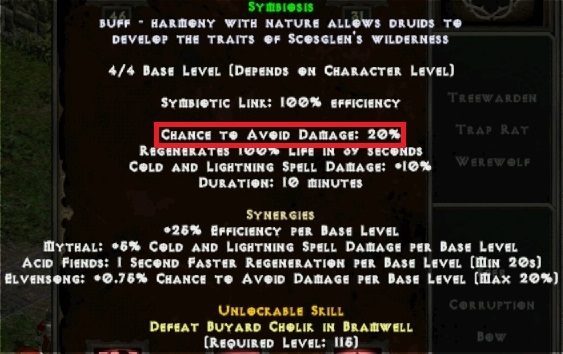 Crafted items can vary a whole lot, and for someone who doesn't really know what affix to look for, they can cause issues. hey, thanks for the guide. great toon! Uncanny-- wrote: hey, thanks for the guide. great toon! The guide mentioned 70%+ avoid. How do you achieve that? tempmail wrote: The guide mentioned 70%+ avoid. How do you achieve that? 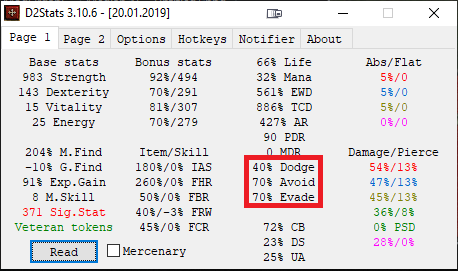 With these 3 buffs you get exactly, or close to, 70%. Depending on your +skills bonus. If you're feeling adventurous you can reach some pretty high numbers.. I'm feeling adventurous! How do you get those numbers?